On 31 December 1918, hours from the first New Year of peace, hundreds of Royal Naval Reservists from the Isle of Lewis boarded the HMY Iolaire at the Kyle of Lochalsh to return home. As the boat headed into Stornoway pier, she piled onto rocks off the coast. 205 men drowned, on their own doorstep, in front of their loved ones. In one of the most eagerly-anticipated novels of year, As the Women Lay Dreaming explores the aftermath of this worst peacetime British disaster at sea, the grief, the survivors’ guilt, and the changes over time to a close-knit community. 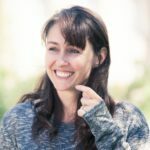 The novel will be released for Remembrance Day in November, and BooksfromScotland are thrilled to bring you an exclusive pre-publication extract. It took me years to look at my grandfather’s journals. For decades they remained with me, undisturbed and unopened for fear that if I ever prised open their covers, the ghosts and demons of my own childhood, their sense of loss and sorrow, would leap out and overwhelm me, emerging from the darkness of my dreams. Besides, there was always so much to get on with. The everyday business of my own existence. My work as an art teacher in a secondary school in Glasgow. The joys and travails of my own family life, one that seemed, on occasion, to follow the pattern of my grandfather’s days. I, too, have had two marriages. Getting on in years now – already older than he was back then – and finding it hard to cope with the energy of my son, Jamie, I have often looked back with envy at the tolerance, patience and love my grandfather showed me. There have all too often been times when I could muster none of these, when I longed to be free of Jamie’s shadow, when I wanted to escape the hold that duty and obligation had over my life. It was, perhaps, because of all this that I put off looking at my grandfather’s writing. His journals had all been created in the years after World War One and the Iolaire disaster in which he had been involved, each note and jotting an attempt to make sense of all that had happened at that time, a re-creation, too, of his original diaries, the ones he had lost when the ship went down in Stornoway harbour. In their rank disorder, they reminded me too much of my own life, the anarchy I felt within my own spirit: the way that one observation veers into another, perhaps mingling incidents that occurred over the distance of decades; the confusion of languages, Gaelic and English, blurring the sense of his words; even the fact that there are several events which I recall and I am sure – from my own memory – that he didn’t get quite right. There is also the disintegration of his handwriting from time to time, the scribble of his pen when ink might have been running short in the household. The same is true of his drawings. Clear and fluid when he employed his pencil in the early days, they became indistinct in the later stages of his life, ragged and faint on paper. There are times, too, when I am all too aware of the limitations of his skill. Many of the women he drew possessed the same expression as his first wife, Morag. Such as the drawings of my mother, his own daughter Mairi, someone I suspect that he – just like me – barely knew as an adult. Or, indeed, the sketches of my sister, Rachel. The black curls. Grey eyes. Dimples. 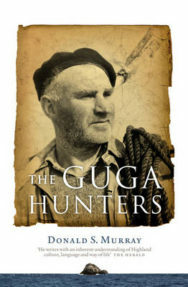 They all seem to merge into one portrait, allowing Morag to age in the form of an old woman working in the peats, to become young again in the expressions of his grandaughter. All in all, it was as if, despite her death many years before, she had become immortal, gaining the gift of not only eternal youth but also continual ageing, moving back and forth over the years. And so it is with much of his work. Time reels back and forth, shifting like a shuttle in one of those Hattersley looms that used to be heard around the village for years on end. It is very hard to make sound or sense of it. And so I set all these things from me, pushing them to the side. It is only in the last decade or so – my son at long last gone from our home and just a few years from the centenary of the one event that so marked and darkened my grandfather’s life, as it did so many others living on the island – that I decided to pick up the journals again, trying to make sense of both their words and drawings. For all that it has taken me many years to do this, it seems to me important to try and provide both form and shape for the multiplicity of voices that are found within those pages, even occasionally try to fix my awareness of those years in the knowledge I have acquired since then, sometimes stepping out of my own skin and seeing the world as it might have appeared to an adult, imagining what it must have been like for him to take on the care of two children who had been bruised and damaged by their own early contact with the world, re-imagining his loss as if it were mine, narrowing my vision down till it blurred and blended with his own. Writing down these words as if there was no distinction between us. As if the incidents might have happened to me. As if his every thought were my own. 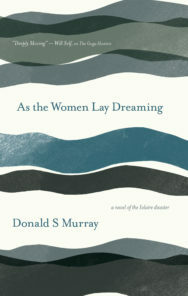 As the Women Lay Dreaming is published by Saraband, and priced at £8.99.